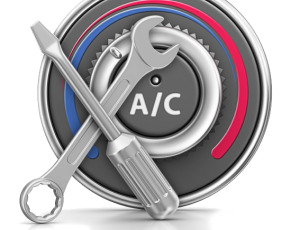 Home » Air Conditioning » Why are AC Tune Ups Important? Getting your annual AC tune up may seem like something you can skip, especially in the busy season of life. In order to save you money down the line and keep your family cool in the summer, however, skipping this can be disastrous. Even though you are paying money for a tune up now, the money you will save on repairs, replacements, and energy costs is worth the money it costs to make sure everything is properly maintained. Just like a car, air conditioners need a tune up in order to be properly maintained. You wouldn’t just drive your car until the engine dies without once changing the oil or the tires, would you? Why should you do the same with an air conditioning system? No one wants their air conditioning to break in the middle of the summer during a heat wave. With a proper AC tune up in the spring, you can make sure your air conditioner is running smoothly and fix any problems before they shut down the AC when you need it the most. Part of the AC tune up is just maintenance, like cleaning the coils, but it can also catch big problems before they turn into catastrophic ones. Air conditioners are expensive and replacing one can take a toll on your budget. When an air conditioner has an annual tune up it lasts longer than systems that aren’t properly maintained. A unit that hasn’t been maintained may only last half as long as a maintained unit. With a tune up, your air conditioner can start operating at peak efficiency. This will allow you to use less energy and keep your energy bills lower. The sooner in the season, you take advantage of a tune up, the more you can take advantage of the lower costs. When your air conditioner is operating at peak efficiency, you can enjoy a more comfortable home. When your system is not operating properly, it can make cooling your home more difficult. With a tune up you can notice any problems that are causing your home to not be cooled efficiently and then get them fixed. With proper maintenance you are not only saving money on energy costs, you are also saving on the potential costs of repairs and replacement of your system. Homeowners should also change air vents and keep the air around the unit clean to do their part in proper AC maintenance. Contact Cliff’s Heating located in Schererville, IN, to get an air conditioning tune up for your system.